The Village of Pleasant Prairie has been masterfully planned to make the most of your free time. With incredible and incredibly convenient amenities and activities for all seasons, this community is a great place to be active, shop til you drop, grab a delicious meal and have fun! Pleasant Prairie has one of the most popular Wisconsin outlet malls that's just a short drive away from Chicago and Milwaukee. Pleasant Prairie Premium Outlets offers a variety collection of 95 designer and name-brand stores from sportswear, professional attire, shoes, children’s clothing, and home goods. Prairie Ridge (conveniently located off of HWY 50) is full of popular and trendy places to shop. Kenosha HarborMarket is an open-air, European-style, mixed market that operates year-round. During the summer months, the market can be found in Downtown Kenosha along the shores of Lake Michigan. In winter, the market moves indoors to the historic Rhode Center for the Arts. Fresh organic vegetables, meats, cheeses, artisan bakery goods and so many more handcrafted items are available along with chef demonstrations,live entertainment and more . Pleasant Prairie has a great mix of authentic restaurants and the favorites you love. Food lovers can find something different to enjoy every night from sushi to barbecue to Italian favorites that this area is known for. Roots Hospitality Group has two unique and exciting restaurants in the Kenosha Area: Waterfront Warehouse has a large selection of draught Beer and signature drinks as well as amazing food, flatbreads and french fries. La Fogata features Mexican enchiladas, fajitas & tacos paired with a variety of margaritas & beers. You can't go wrong! Stop in and visit soon. The talented chefs behind Kenosha's most popular restaurants have cooked up special fixed-price menus that you’ll only find during Restaurant Week. Get the best Restaurant Week deals when you dine in Kenosha during this amazing food event. Enjoy multi-course meals for Breakfast or Brunch ($10), Lunch ($10), and Dinner ($20 and $30). No tickets, passes or coupons are required. The Village has a number of shops that sell artistic creations, and promote the arts through creative dance and other mediums. There are a number of collaborative opportunities in the surrounding communities as well with high school and college programs that promote the arts to residents. Being situated between Milwaukee and Chicago provides world class opportunities for art consumption with just a short drive or train ride. Open 7 days a week. 1 mile east of I-94 on Hwy. 50. Featuring unique gifts: Jewelry (including Pandora), art glass, pottery, handcrafted items, fine art and custom framing. Looking for just the right gift? Wondering how to decorate your new home or office?  Proud to be in business for 26 years, Seebecks offers a variety of handcrafted home accent items, unique artist-made gifts and expert custom picture framing. Visit us to be surprised, discover just the right piece, and enjoy our complimentary gift wrap. Personal shopping, corporate gifting and art consultation available. Adults, Teens & Children welcome! Looking for a fun thing to do? Come join us for an awesome evening/day of friends, fun, beer, wine and painting in Pleasant Prairie! We provide everything you need for a great night out! Birthday parties, Little Brushes, Coporate parties, Team Building, Bachlorette parties and just because parties! Come Paint With Us Soon! The Rita at UW-Parkside is the newest and largest facility of this type in the area. It features a 340-seat music recital hall, a 120-seat “black box” studio theatre, galleries for both professional and student art exhibitions, instructional studios, and expanded and upgraded general classrooms. Community members are welcome to come enjoy outstanding music, theatre, and art exhibitions. The Village offers a variety of fitness, sporting activities and healthy recreational opportunities to help residents and visitors find personal balance. For the outdoor enthusiast, there are thousands of acres to be hiked, biked, photographed and explored in the Chiwaukee Prairie and Des Plaines River Conservancy areas. No matter the weather or the season there is always something to do whether kayaking in the summer, hiking in the fall, sledding in winter, or taking that first spring bike ride through the wooded trails. The RecPlex is the largest municipally owned recreation facility in North America. Located on the shores of Lake Andrea in Prairie Springs Park in Pleasant Prairie, the park encompasses 425 Acres and the main recreation building is 302,000 SF. The beautiful facility - which features Ice & Aqua arenas, Fitness Center, Fieldhouse, and a staff of over 300 individuals committed to enhancing your quality of life. If you love the water, Lake Andrea is the place to be. You can fish, swim, wind surf, sail, kayak and boat. There is a 2.3 mile asphalt walking/jogging trail, two playgrounds for the little ones, and an archery range those wishing to develop their skills. The beautiful nature trails are a hidden gem and the activity filled beach, sand volleyball pits and the ball field are busy spots in the warm weather months. You can even rent a pavilion so you can enjoy the whole day there. Lake Andrea Beach: A great place for family fun!